Malaga Airport-Costa de Sol is the main airport in Southern Spain and gateway to many tourist destinations in Andalusia, Malaga province and the Costa del Sol. The airport is located 8 km southwest of Malaga and 5km north of Torremolinos. Keep reading to learn interesting facts about Malaga airport. 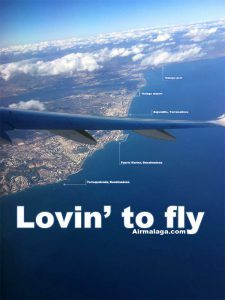 At the present time, Malaga airport-Costa del Sol offers flight connections to over 60 cities worldwide. As a result, it holds the fourth position among Spanish airports regarding passenger volume. Furthermore, it has inaugurated the new terminal T3 recently, including a second runway and a modern suburban train station. To begin with, an IATA airport code is a three-letter code designating many airports around the world, defined by the International Air Transport Association (IATA). Usually, you can find them in those characters prominently displayed on baggage tags attached at airport check-in desks. What is an ICAO code? The ICAO airport code is a location indicator for each airport around the world. Air traffic control uses ICAO codes for airline operations such as flight planning. On the other hand, they are not the same as the IATA codes encountered by the general public, which are used for airline timetables, reservations, and baggage handling. Why are the Malaga Airport codes AGP & LEMG? In the first place, AGP for Malaga Airport as abbreviation for “Aeropuerto Gran Picasso” (in Spanish Airport Great Picasso, making allusion to the artist who was born in Malaga). Another theory goes back to Roman times when there was a Roman temple in the city of Malaga called Agrippina. But the facts are less spectacular, indeed IATA codes can only be three letters and the letters which would suit Malaga Airport were already taken for other airports. Hence, the only letter combinations that were left were AGP. Regarding LEMG, the first letter represents a country or group of countries on the continent. The second letter represents a country within that region. Finally, the remaining two identify each airport. Thus, L – Southern Europe, Israel and Turkey; E- Spain, MG-Malaga.